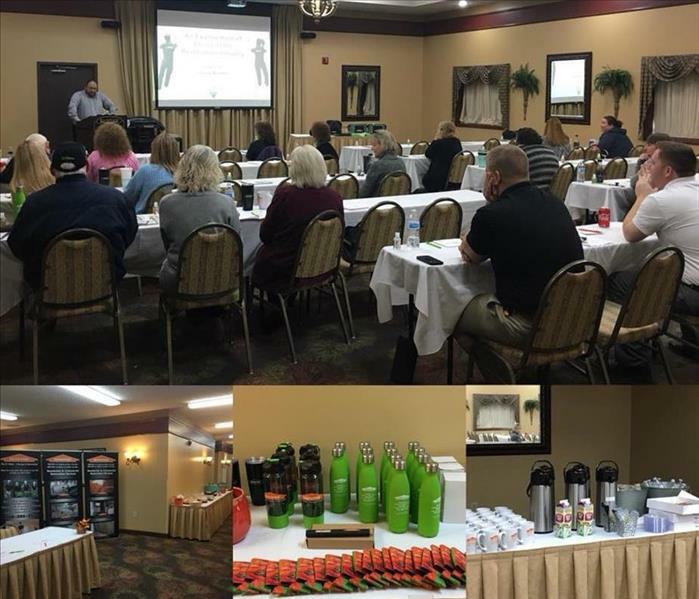 We enjoyed spending the day with those that attended our CE class on October 31,2018. 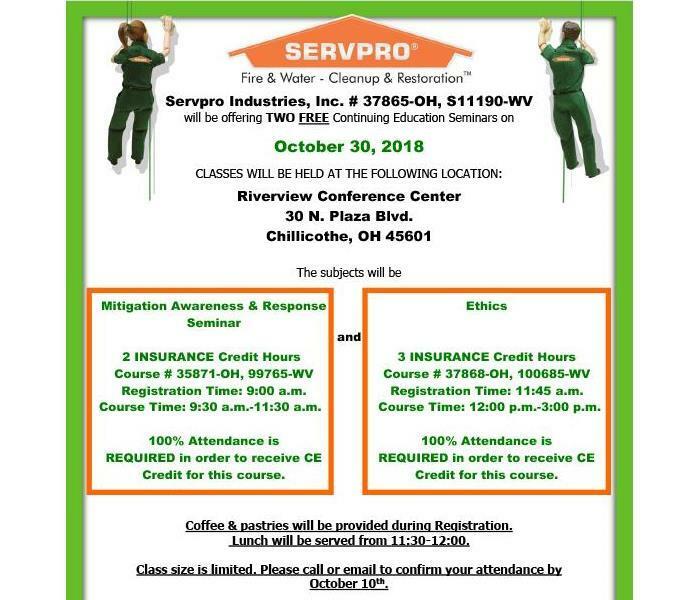 Join us for our next class on March 28, 2019! Details to come soon. Join us on October 30, 2018 for 5 free hours of CE. The first seminar, Mitigation Awareness & Response, will be held from 9:30-11:30 am. Lunch will be served from 11:30-12:00 and we will resume instruction with our second seminar on Ethics from 12:00-3:00 pm. Both courses accomplish credit for OH and WV. 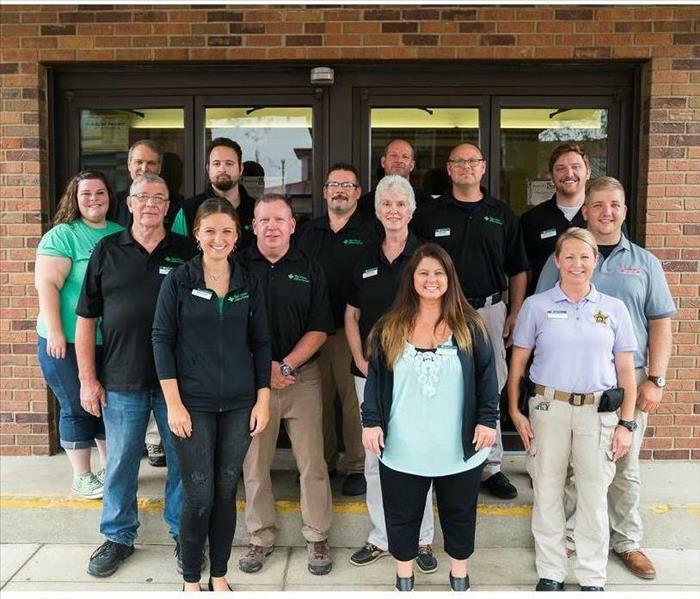 Our very own Trevor Sullivan and Brian Jarvis pictured here with their fellow Ross County Safety Council Steering Committee Members. 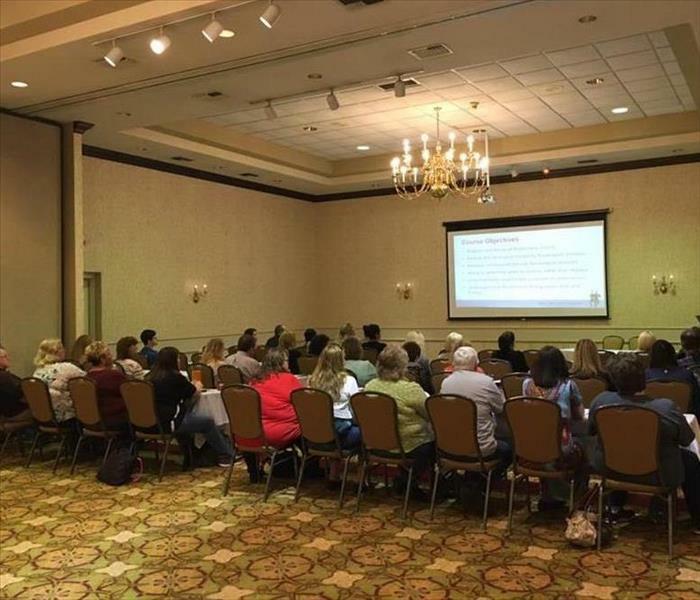 This steering committee is charged with laying out the yearly speakers, workshops, and extra training classes. 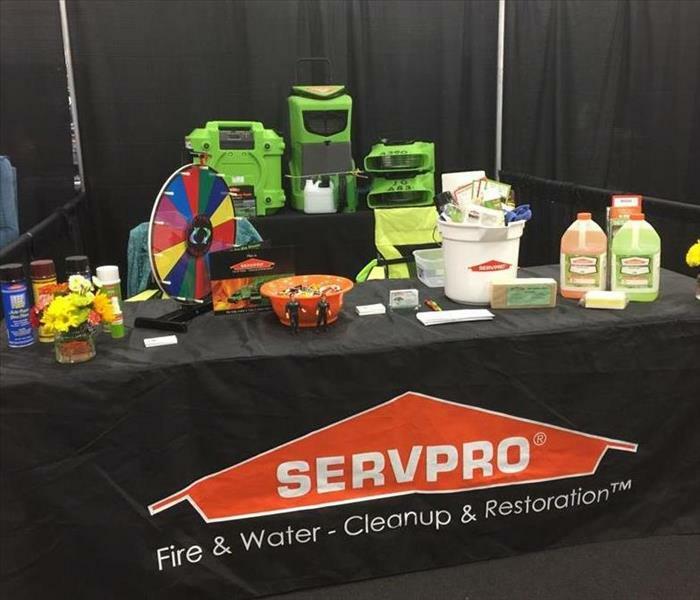 Celebrating our 10 year Anniversary as part of the SERVPRO family. Our girls were 5 and 2 years old when we made this decision and have grown up traveling with us to our National Convention each summer. Congratulations to all those who came before us, having given up to 45 years of service to community, home and business owners through floods, storms, fires and more. 5k with SERVPRO teams from across the country during our week in Orlando for National Convention. Great way to start the morning! Thanks to the Gallia County Chamber of Commerce for organizing this fantastic evening. 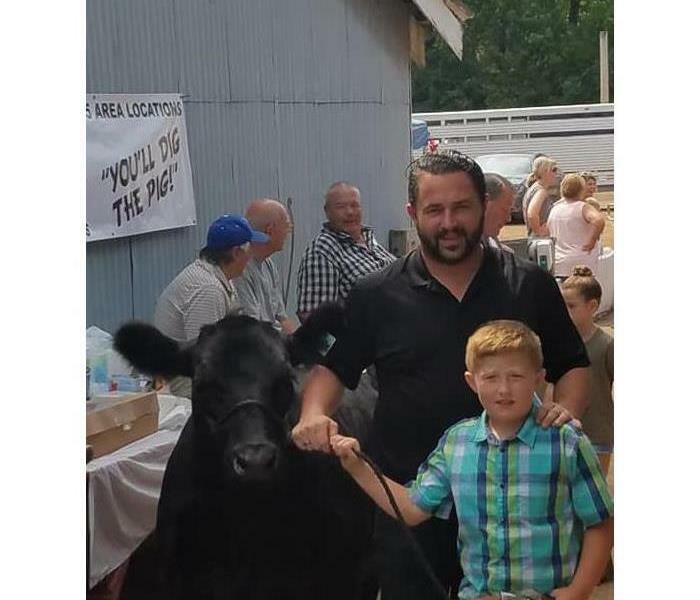 Clark Walker, our Operations Manager, spent the week at the fair with his oldest son Grant. We are proud to support their hard work and the lessons Grant is learning. 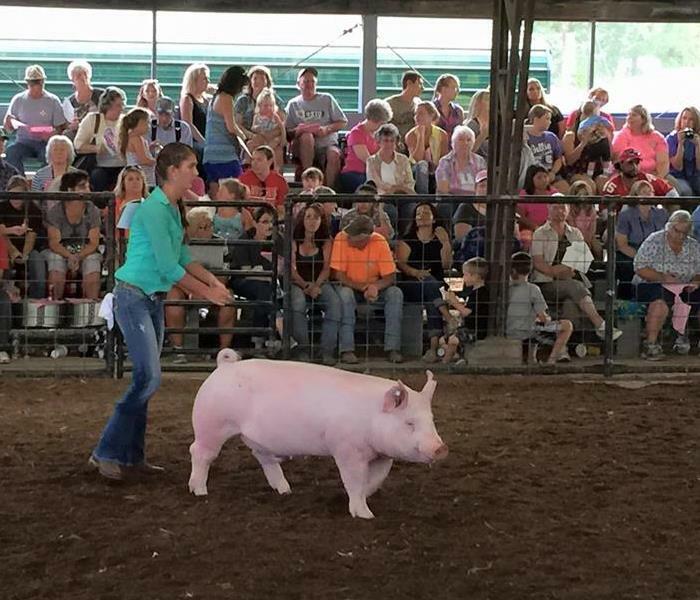 We are proud to support youth and the Gallia County Jr. Fair! 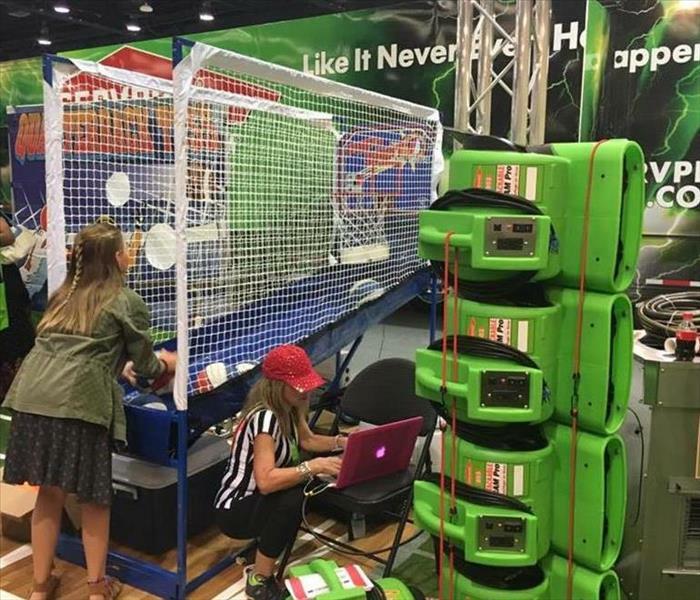 Having some fun shooting some hoops at the tradeshow this year. 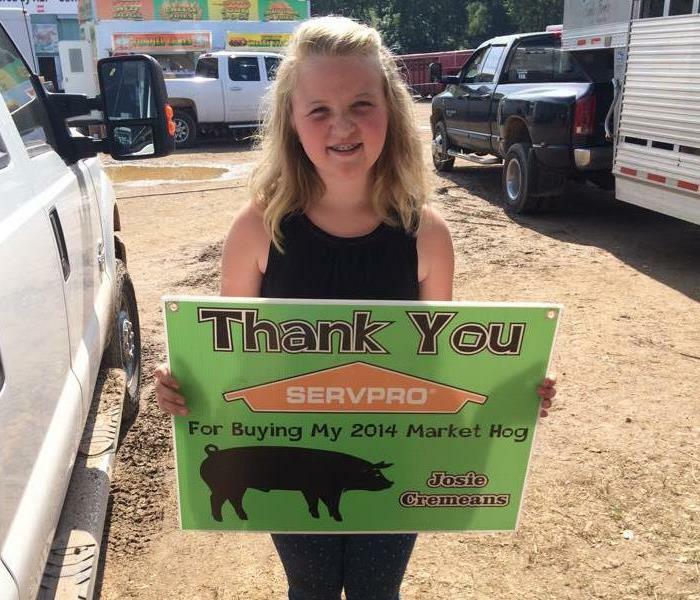 Here at SERVPRO, we believe "EVERYDAY IS GAMEDAY!" 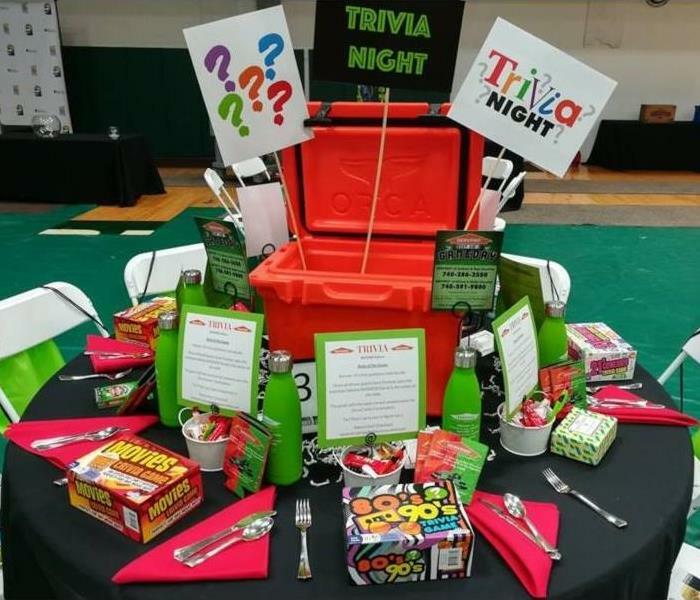 SERVPRO Corporate designs a scavenger hunt each year during our convention year. 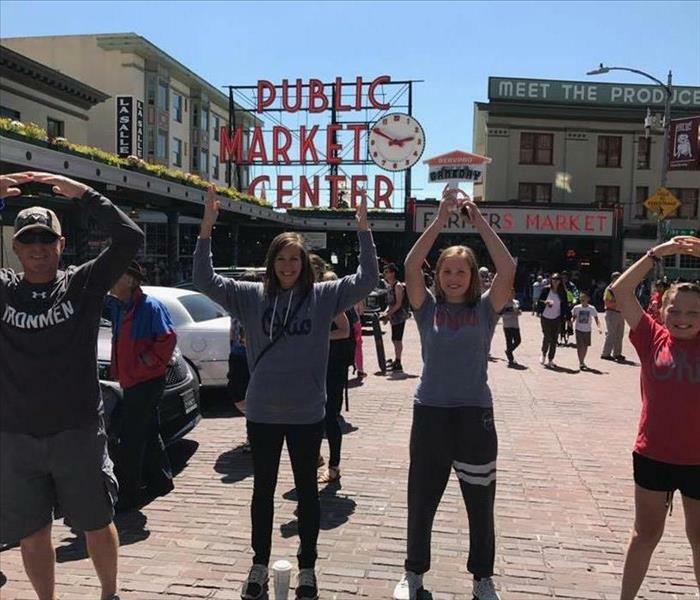 This year we wanted to be sure to represent Ohio while in Seattle, Washington. OH - IO! Great turnout for CE 2017. Thank you to all who attended and to Jason for excellent instruction as always. We enjoyed seeing you this weekend Jackson! What a fantastic holiday meeting Ross County Safety Council had on December 8th! The speaker John Davis was superb. A big thank you to all of our sponsors: Airgas, SERVPRO of Jackson & Ross, Athens & Gallia Counties, Dave Strickland - State Farm Agent, Chillicothe Ross Chamber of Commerce, Adena Health System, and a special thank you to our caterer Greg Miles with 7 Miles Smokehouse. Thank you to everyone who donated toys, hats, coats, gloves, coats, and food for the United Way of Ross County MAPS program. Merry Christmas! 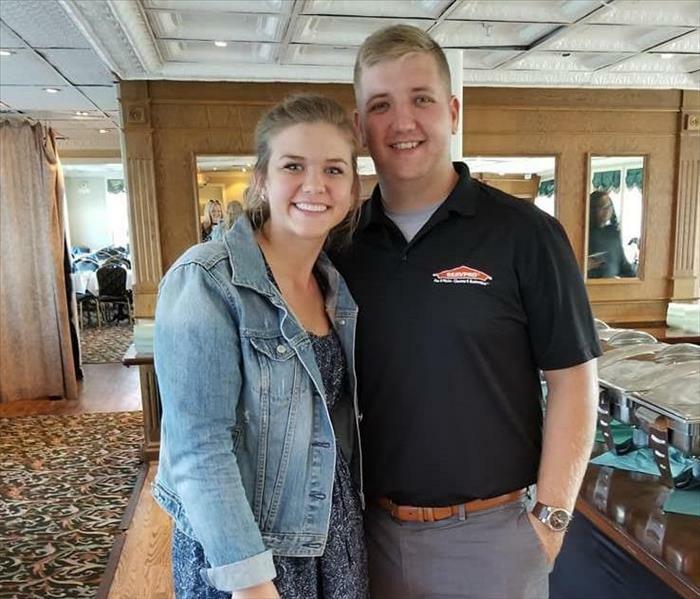 Chillicothe Chamber of Commerce Business After Hours Event Putt'in On the Ritz. 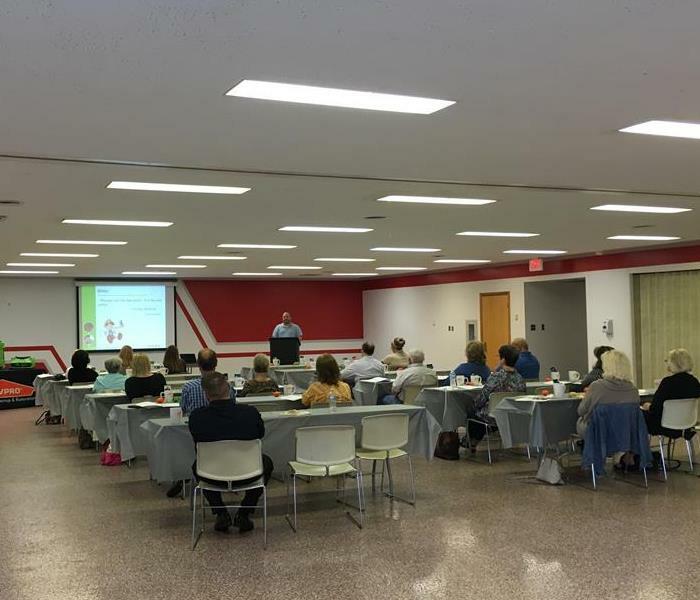 We always enjoying hosting this FREE CE class for our area insurance agents. Thanks to all who attended! We enjoyed seeing you at the Business Showcase. You know who to call when you need help. We'll help make it "Like it never even happened." Mason County Trunk or Treat is always a TREAT! An estimated 3,000 folks come out for this event. We enjoy seeing their creative costumes and passing out sweets. Proudly supporting the youth of Gallia County each year. Great job Hannah! Proudly supporting the youth of Gallia County each year.